Seller, Green Computer sp. z o.o., with registered office at 12/428 Erazma Ciolka Street, 01-402 Warszawa (Poland), registered in the Regional Court for Warsaw Capital City in Warsaw, XIII Economic Division under the National Court Registry number 0000550339, Tax ID PL5242778119, Enterprise Identification number 361143808, hereafter referred to as "Warrantor" grants the buyer of the product warranty for a period of ......... .. months [the warranty period is specified in the description of products at www.greencomputer.pl]. For batteries delivered with the product, the warranty period is 6 months from the date of purchase. The warranty period begins upon release of the product to the consumer. In the case of a buyer who is not a consumer, the warranty period begins upon the transfer of the risks associated with the purchased product to the buyer. 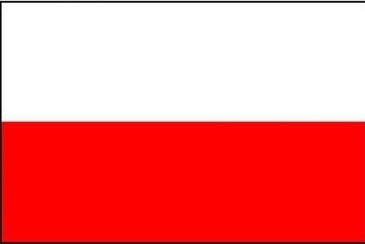 The geographical scope of the warranty covers the region of Poland and the territory of the country to which the Warrantor ships the product. In order to avoid damage, the user is advised to read the instruction manual in detail, adhere to its recommendations and not exceed the maximum operating parameters of the product. Liability on account of the warranty, does not cover product defects resulting from reasons other than inherent in the product, in particular due to the use of the product in a manner contrary to its intended purpose and recommendations of the instruction manual. Warranty does not cover glass parts, batteries, wires, enclosures and materials that are subject to normal wear and tear during operation of the equipment (e.g. : tips, carbon brushes, bulbs, etc.). Heating components are subject to a maximum of one-time replacement under the warranty. The warranty becomes invalid in the event of any interference with the seals, unprofessional disassembly, repair or alteration by unauthorized persons (i.e. unauthorized service), incorrect maintenance or lack thereof. The warranty entitles, in the event of a defect during the warranty period to a free repair of the purchased product. The warrantor determines the method of repair of the product. The warrantor may at its discretion repair instead of replace the product with one free of defects or refund the amount equal to the sale price. The warranty does not confer the right to request a replacement of the product with one free of defects, withdraw from the sales agreement or request a refund of the price. The notification of a fault in a product should be submitted in written form, e-mail (contact details in the header of the terms of warranty) and should include: name and surname or the Buyer's name, address, phone number, model, serial number, invoice number and a description of the fault in the operation of the product covered by warranty. Return of the defective product must be made to the Warrantor (Green Computer sp. z o.o., with registered office at 12/428 Erazma Ciolka Street, 01-402 Warszawa). Please do not send the defective product to the Warrantor without prior agreement with the Warrantor. Defects restricting or preventing the use of the product for its intended purpose, discovered during the warranty period shall be repaired free of charge within 30 days from the date of delivery of the product to the registered office of the Warrantor, subject to pt. 8. Should you lose the warranty card, the Warrantor will not issue a duplicate. The Warrantor informs the Buyer that the administrator of personal data provided in accordance with pt. 9 of this warranty is Green Computer sp. z o.o., with registered office at 12/428 Erazma Ciolka Street, 01-402 Warszawa. The data will be processed solely for purposes related to the execution of the warranty and data archiving. Personal data will be made available only to entities authorized by the law. The submission of personal data by the buyer is voluntary. However, the refusal to provide it in the notification will prevent the implementation of the above objectives. The User has the right to access the content of his/her personal information and to correct it. To the extent permitted by applicable law, the warranty is subject to Polish law and will be interpreted in accordance with it. Any disputes that may result from this warranty, granted to a subject who is not a consumer shall be resolved by a court of competent jurisdiction over the registered office of Green Computer. Data from the product purchase invoice, in relation to the device/product number and date of sale, constitute an integral part of the terms of the warranty. The warranty on the product sold does not exclude, limit or suspend the Buyer's rights subject to the provisions on warranty against defects in items sold.